To say that I wasn't prepared for the impact this show was going to have on me would be an understatement. The book itself left me emotional, but seeing all of this pain and all of this heartbreak unfold right in front of your eyes is a whole other story. All of me wanted to devour this series but I held back. I wanted to savour each moment of this story. I resisted the urge to binge watch and I am so glad I did. I know I would have loved it just the same, but I am so glad I gave myself time to process each episode. First off, a standing ovation to the spectacular cast. There isn't a word grand enough to describe what an outstanding job they all did. If there was ever the opportunity for a Netflix series to be nominated for the Oscars, this would be it. Each actor and actress gave an academy-award winning performance. I was continually blown away as each episode went by as I watched their stories come to life. Taking on the task of playing these characters would be no easy feat for even the most seasoned of actors, and this cast delivered each character flawlessly. In fact, they brought a whole new dimension to this story. Although this series was created because of the book, they really made it into something that stands so strongly on it's own. I love the fact that Netflix picked this up. 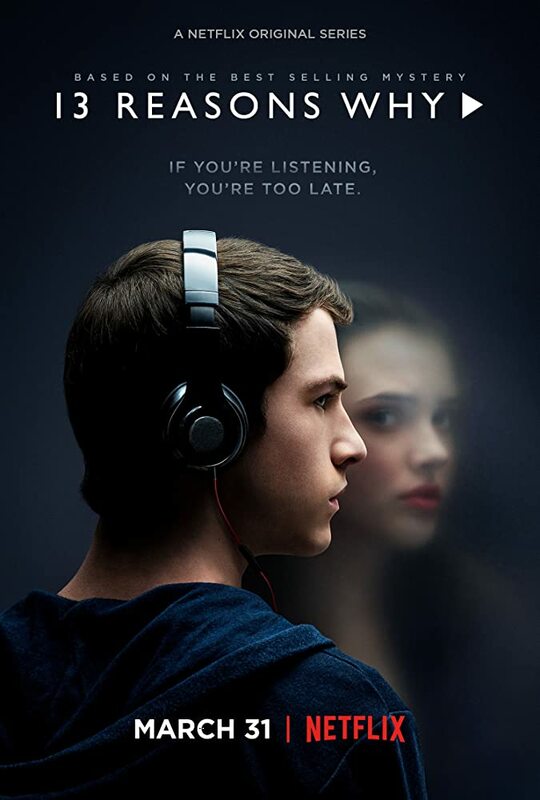 I love that 13 Reasons Why was given the freedom it needed to really tell the story. They pushed the boundaries, they went honest. The show was graphic and at times intentionally cringe-worthy. There were times that made it uncomfortable to watch because they wanted to capture the real and raw intensity of those moments. 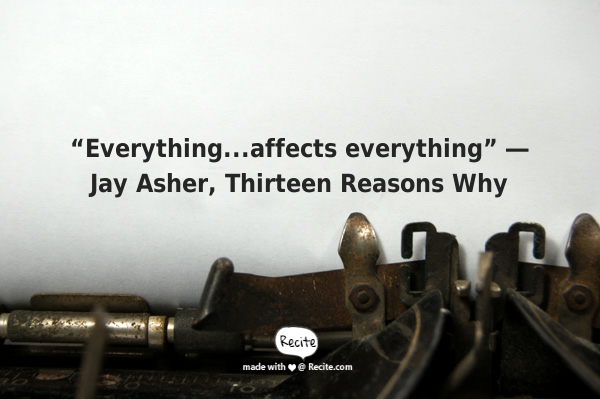 13 Reasons Why truly shows us what how our actions can affect someone. Katherine Langford took the Hannah we all grew to love and brought her to life. It is rare that an actor can live up to the potential of a character, but in this case, she not only played Hannah, she became Hannah. I did not see Katherine Langford once throughout the series, I saw Hannah Baker, the pained, broken, witty and lovely Hannah Baker. Let's talk about Dylan Minette(Clay Jensen). I loved him in Don't Breath and was thrilled when I learned I'd get to see him again in 13 Reasons Why. What I wasn't expecting was to be so entranced by his performance. He is a powerhouse. At the young age of 20 years old, he has proven that he can stand not only beside the best of actors, but above them. His preformance struck my heart. I will always see Clay Jensen as Dylan Minette and that is just how I want it. I couldn't imagine anyone else doing Clay Jensen justice. Now, let's address the soundtrack. My notes from this series mostly consist of the music that played throughout each episode. Kudos to Eskmo and the entire sound production for putting together one of the best soundtracks I have ever heard. Each moment that was captured was intensified by the most perfect song choice. And, I know I am not the only one that was hypnotized by the Dance scene between Clay and Hannah, and that song that made the entire moment, The Night We Met by Lord Huron. I am in mourning over the end of this series. I had no idea the impact this show was going to have on me. If I was told I'd have to erase the memory of every show/film I'd ever seen, but could save only one, it would be 13 Reasons Why. This show sprung so many emotions and questions inside of me. It is a show that I want to share with our youth. Schools need to be picking this up to share with their classes. I truly believe that this show could change lives. It moved me in a way that no other production has ever moved me. I hope the cast gets the recognition that they ALL so deserve. And of course, Jay Asher, the man himself that changed our lives with 13 Reasons Why.